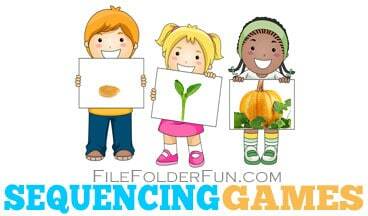 Our Sequencing games are printable games where children put the cards in the proper order or sequence. This order can be based on Size, Time, Shape and more. 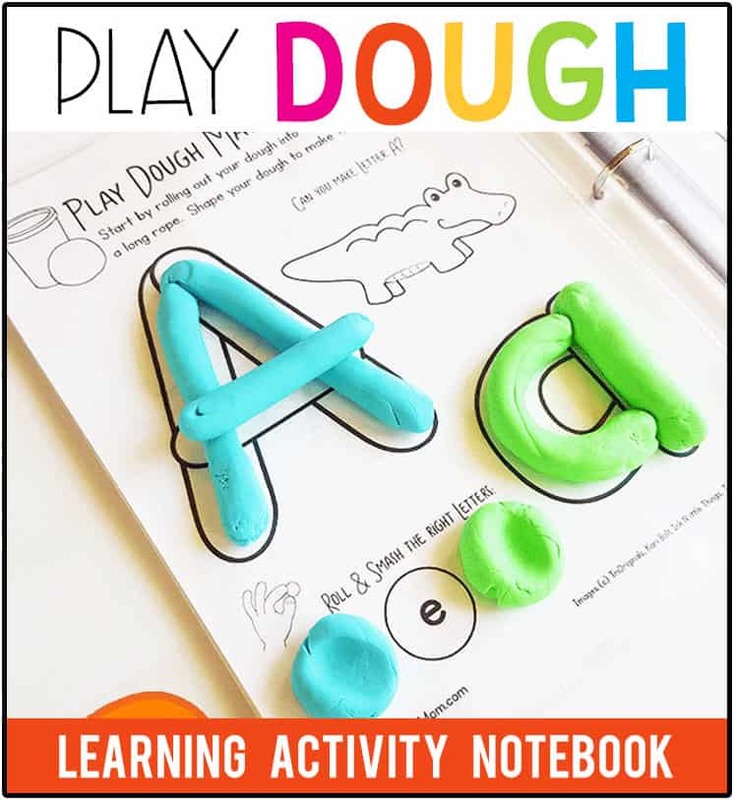 Many of our sequencing printables can be combined to fit inside a file folder to create a complete learning center. How to Play: Print up our blank Sequencing Chart to use with all of our photo sequencing cards. This chart can be laminated and stored in your learning center, then simple give children each set of photo cards to place in the appropriate boxes. Alternatively, each game prints up two sets of cards. You can use the first set as a game board, and cut out the second set for playing pieces. This is good for introducing children to the proper order first. You can mount multiple gameboards inside a file folder and store the game pieces with a paper clip. As children master the sequence introduce the blank chart and save the game boards for self check references. These apple cards show the progression of “bite” from a whole apple down to the core. Printing one page gives you two sets of six cards. We recommend leaving one set intact and cutting the addtional set out for playing pieces. Children can then learn the process by matching the cards first, then building their own sequence. These plant life cycle cards show progression from seed to seedling. Children order the different stages of the seed as roots form and the seedling emerges. We recommend leaving one set intact and cutting the additional set out for playing pieces. Children can then learn the process by matching the cards first, then building their own sequence. These pumpkin life cycle cards are perfect for children who are learning about plants and food. Children arrange the six photo cards in the proper order from seed to fruit to show the stages of a pumpkin. These real photo frog life cycle printables can be used in a Science learning center or file folder game. With six photo stages, children can learn all about the metamorphosis of a frog from egg, tadpole, tadpole with legs, froglet and adult. Children work on placing the ice cream cones in proper order from one to ten by counting the amount of scoops on top. Number Circles are provided and can be used as reference guides or “cherries” on top. Younger children can line up the cones to see which ones are taller then the next. Thank you for providing these beautiful cards with clear and simple photographs for free. I would like to suggest the life cycle of a butterfly or a moth as another set. I just read your email on how you got started. I’m so glad you listened to your heart as God was definetly putting you where you needed to be. Love you for that and all you do…..